The Washington Citizens’ Commission on Salaries for Elected Officials has approved salary hike for elected officials, judges and lawmakers. It is the third pay raise since the Great Recession. The commission’s decision, which proposed a huge rise in salaries, drew the ire of anti-tax activist Tim Eyman, who has vowed a referendum that would put the raises before voters this November. Along with raising base salaries by varying amounts, the commission approved cost-of-living adjustments for all the approved positions of 2 percent in 2019 and another 2 percent in 2020. The raises are part of the commission’s regular salary adjustments, which occur every other year. It is to be noted that the commission, established in 1987, was created by a state constitutional amendment as a way to subtract politics from the setting of salaries. The commission has 17 members appointed from different regions of Washington, and it holds the sole authority to set pay — and commissioners can’t reduce elected officials’ salaries. After the decision to raise, a series of meetings happened that examined officials’ job roles, wages for similar positions in other states and economic data. For State lawmakers, the approved raise by the commission stands at $3,000 for 2019 and another $3,000 for 2020. So, in 2020, rank-and-file lawmakers will earn $56,881 a year, up from their current salary of $48,731. Legislative leaders will make several thousand dollars more. Legislators are also allowed to collect $120 as daily expenses during the legislative session. Judges, including state Supreme Court justices and judges sitting on appeals, superior and district courts — also got huge raises. The commission approved raises of 8.5 percent for the year 2019 and 2.5 percent for 2020. It implies the raise will bring state Supreme Court Chief Justice Mary Fairhurst’s 2020 salary to $226,589, up from the current $193,162. The three important figures in the executive portfolio of the state, Gov. 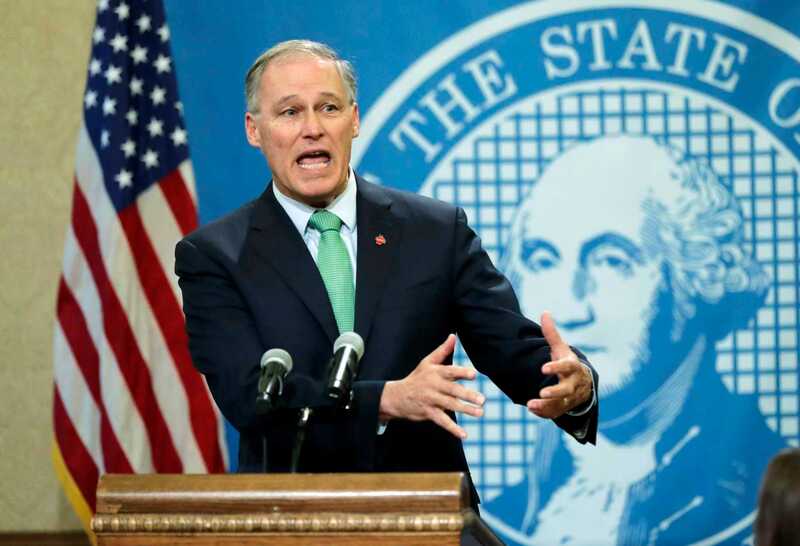 Jay Inslee, Attorney General Bob Ferguson, and Treasurer Duane Davidson — will get $1,500 raises in 2019 and again in 2020. Davidson will earn $153,615 in 2020, compared to $144,679 this year. Along with these crucial functionaries, few state-wide officers got bigger pay bumps. The commission lauded the work of Secretary of State Kim Wyman on cybersecurity election issues as a reason to increase her pay by 2020 to $134,640. Wyman now earns $124,108. It also stated increased duties as a reason to increase pay for Commissioner of Public Lands Hilary Franz and Office of the Superintendent of Public Instruction Chris Reykdal. By 2020, the base pay for each will reach $150,000, up from the current salaries of $138,225 and $136,910, respectively. After the Great Recession, the commission had paid out raises in 2015 and 2017. Before 2015, the pay was kept frozen. However, this time the commission lowered some of it raises from its initial considered recommendations. The commission had initially considered a 2.5 percent cost-of-living hike for 2019 and 2020. And commissioners discussed a 10 percent raise for judges in the first year, before slimming that to 8.5 percent in the final note. Eyman, who is facing a lawsuit by Ferguson alleging that the initiative activist broke campaign-finance laws, spoke at Monday’s public-comment section of the salary meeting, reading what he said were citizens’ messages protesting the raises. As far as the procedure goes, to qualify for a referendum, Eyman would need to gather 129,811 valid signatures within 90 days after the salary changes are filed with the Secretary of State’s Office, as per a spokesman for that office.